Are you ready for 14 Days of Ravishing Red? Stay tuned as we explore ravishing red ? lipsticks, lip liners and glosses every day on our way to ? Valentine’s. 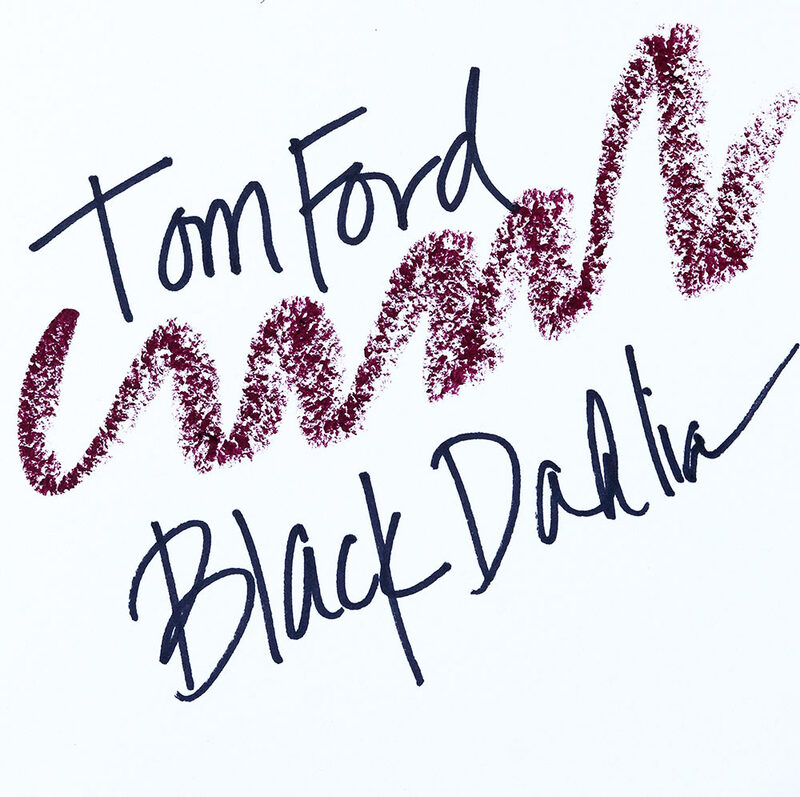 Potently powerful Tom Ford Black Dahlia Lipstick is deep, dark, moody and perhaps slightly dangerous…and a little bit unhinged, LOL! Like, it could either kiss you or cut you to shreds, depending on how the wind’s blowing. Basically, it ain’t playin’. I feel like I’m one of the girls in The Craft when I wear it, and we’re sitting around a bonfire in the woods making flames dance with witchcraft. Oh, well! I was in the mood to try something different. Next time I wear this, I’m going to wear it with my usual go-to combo — a cool gray smoky eyeshadow with major black liner. Yasssss! I love burgundy lips. I’ll have to pull out the Rihanna Mattemoiselle in Griselda this week. I like the purple eyes too! Aww, thanks! I don’t know if it works but at least it’s a little different, LOL! Have you worn that lip to a performance yet? You totally should. Not in a performance, but I’ve worn it out and about. I wore a similar color as Bellatrix Lestrange for Halloween ! I vote that your rock it in your next show. Perhaps with some fierce winged liner! Thanks, Fieran! I feel like the bright purple is cray (in my head it was more cohesive) but eh, sometimes it works, sometimes it doesn’t, LOL! Are you wearing red today? I hope so! Noooo 🙁 The “reddest” lipstick I have is MAC’s Red Balloon and maybe NARS’ Afghan Red. I seem to gravitate towards Berry shades. 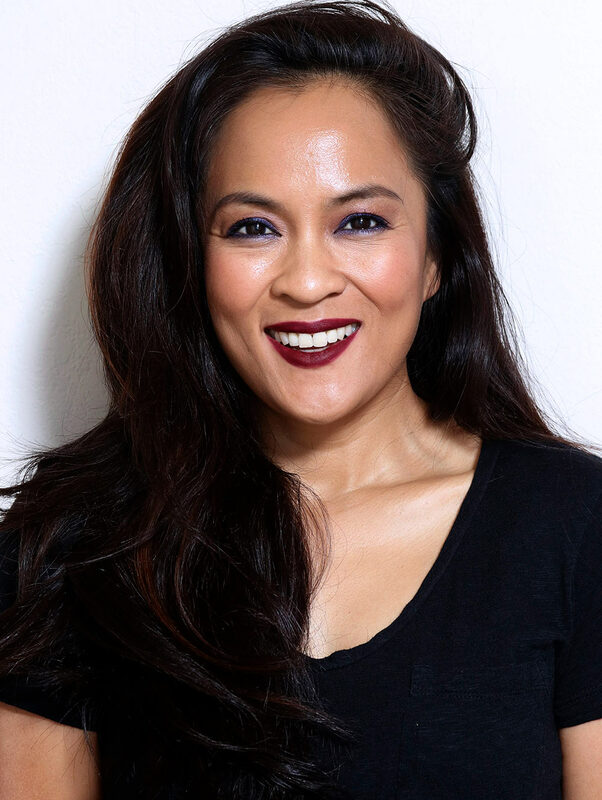 Have you tried Bobbi Brown’s Luxe Lipstick in Brocade? It’s one of my favorites. Another I would wear almost everyday is Charlotte Tilbury’s Hell’s Bells. I haven’t found a Red I would dare to wear. WAIT, WHAT? All this time I thought you were team red lips for some reason. I don’t know why but I just see you as a red person! I don’t have Brocade but just made a note to swatch it. The Sephora near my house has a huge Bobbi counter! You’re very sweet, Bebe. How’s your week going so far? Have you experimented with any new makeup/makeup looks lately? hi, hope you had a great weekend, he was carnival we watched it at home. Love the shade you are wearing is my thing. looks amazing on you with the purple eyeshadow. Happy Tuesday! I had a busy weekend, but it was still good. Just lots of non-stop errands and quick trip to San Francisco on Saturday morning. How’s your week going so far? You really look powerful and a little dangerous, a great combination. Thanks, lady! Have a great day. It looks very pretty on you. You could do something like MAC Diva! The finish on Diva is shinier but you could always blot it down with some powder. And thanks for the feedback on the purple liner… I might wear this again! What a thoughtful gift from your hubs! How long have you guys been married? The liner is from Sephora Collection, by the way, and it’s called Violet. Here’s a swatch! I’m sorry you’re so tired. But you really can’t tell. You hide it well. You really do look gorgeous in these photos. Clearly I need to take under eye concealer lessons from you, because when I’m tired there is nothing that I can do to cover up that under eye area. I use a corrector and either the NARS concealer or MAC Pro Long Wear. Hope you can catch up on some rest soon. I mean… Good lighting and thinking about happy things when you take pictures helps. LOL! It’s mostly mom life kinda wearing me down a bit. Connor’s going through that phase when she’s really, really needy. Her pediatrician said that it would peak at just around 2 and it’s hitting at the moment. I’m trying to cherish it because I know one day in the near future she’ll want nothing to do with mom, but oy, it’s exhausting! I LOVE the eye and lip combo! Thanks, Danielle O! If you ever give it a go lemme know!